Zig-zag stitching adds a modern touch to a classic look. 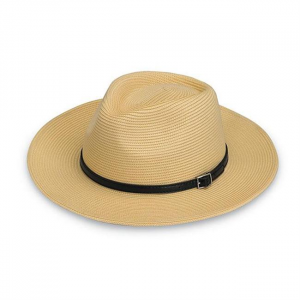 The sturdy 3 1/4" brim offers ample shade for every summer adventure. Black ribbon detail. Internal drawstring adjusts fit. Sizes: M/L (59cm) and L/XL (61cm). 100% paper braid exclusive of trim. 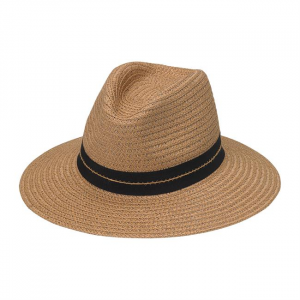 Fedora-style design for a classic look. 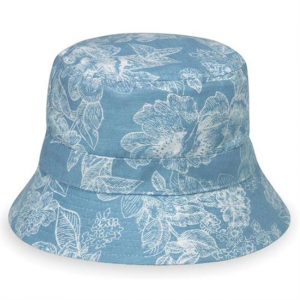 An adorable bucket hat in a cheeky-inspired pattern. Say "goodbye" to sunburns! 2" brim. 46cm fits ages 3-12 months. Crushable. 100% cotton. Handwash cold. 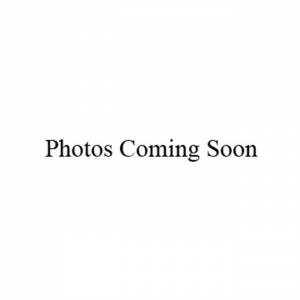 The Petite Scrunchie Hat from Wallaroo is modeled after the popular women's version. A charming cover-up for fashionable young ladies, the Scrunchie offers UPF 50+ sun protection in fun colors that go with just about everything! Just like mom's but sized for smaller heads, the Petite Nantucket pairs perfectly with rainbows and butterflies. Brightly colored ribbons are sewn together to create this brilliant hat. 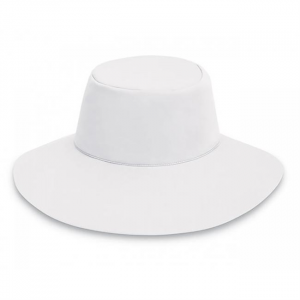 The Kiwi Hat from Wallaroo is a must for all well-dressed summer babies. Extra long 3.5 inch back brim completely covers the head and neck. Includes chin strap and elastic at the back to keep it in place. Protect your infant's delicate skin from the sun's harsh rays with the comfortable, terry-lined Lorikeet. A matching Velcro chin strap keeps baby from pulling it off. 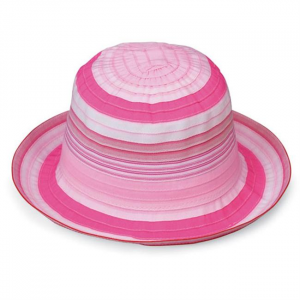 Sassy and stylish trilby fedora for girls. The alternating weave of color and natural straw coordinates with the matching, macrame-style knot. Spot clean only. 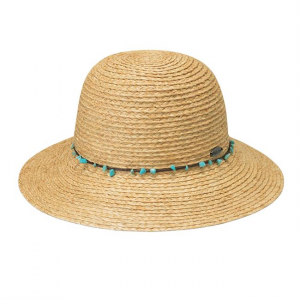 Colorful, water-friendly hat that goes from the beach to the pool all summer long. 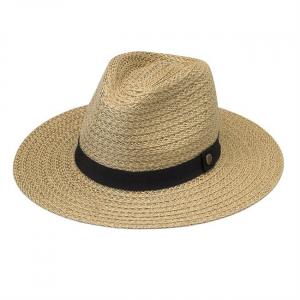 Step out in style in the Byron hat from Wallaroo. 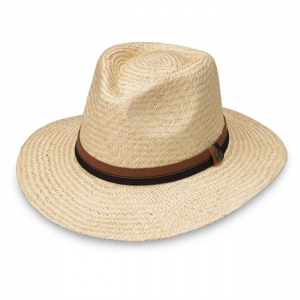 The sophisticated structred style in natural palm fiber weave evokes images of summer adventures. A wide 3 inch brim shades the sun to keep you cool. 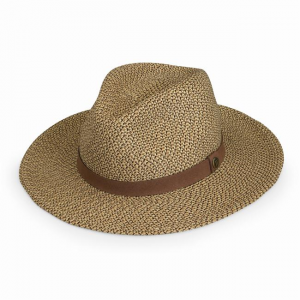 Perfect for a weekend getaway, this twisted seagrass hat is island inspired. Removable chin strap with adjustable toggle. Detailed with metal eyelets and a suede band. Spot clean. Hit the beach or the waves with the security of water-safe, wrap-around sun protection. Matching chin strap is removable. 3 1/2" brim. Stretches to fit. 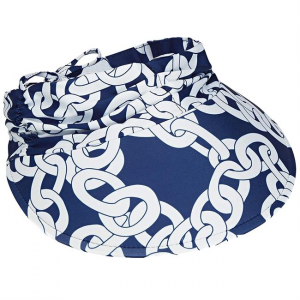 Excellent for trips to the pool or sailing excursions, the Aqua Visor will keep you comfortable. 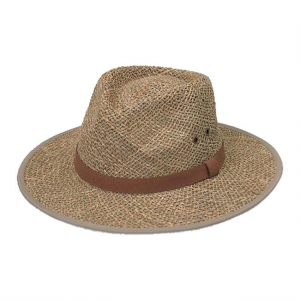 Its quick-drying fabric lets you enjoy any water activity without leaving your hat behind. Adjusts to any size with a tie in the back. 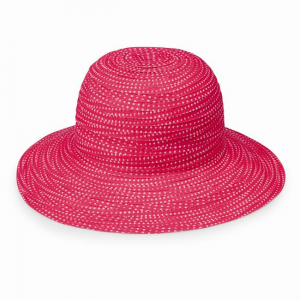 Raffia braid gives this playful bucket hat a more structured look. A brown cord accented with small stone beads adds a touch of color.